Those of you who weren’t able to join us at the Annual Conference missed a most enjoyable occasion, with exceptiona lly inte resting talks in a pleasant venue, and the opportunity of catching up with old friends. 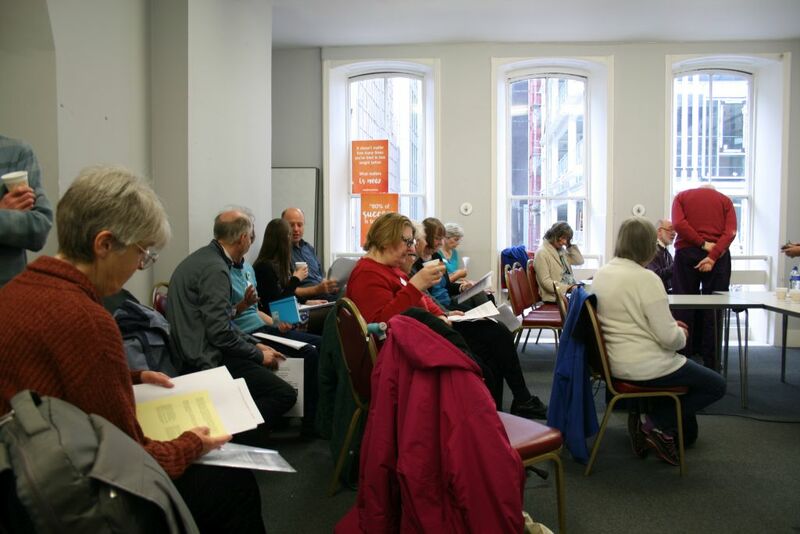 The day began with a settling of our thoughts as Karen Hans led a time of worship, with readings from the Psalms and the Epistle to the Romans, and the enthusiastic singing of some popular Christian songs, accompanied by Robert Foster on the keyboard. This was followed by the Annual General Meeting, chaired in Eddie Olliffe’s absence through illness by ex-President Margaret Keeling. This meeting reviewed 2015 and looked forward to the next few years; the minutes are to be found elsewhere in this issue. We were encouraged by thoughtful messages of good-will from Nick Poole (Chief Executive of the Chartered Institute of Library and Information Professionals), Steve Clifford (General Director of the Evangelical Alliance), Ros Turner (Transform Work UK), Brian Allenby (Christians at Work), Steve Briars (Managing Editor of Together), Geoff Booker (Christian Book Promotion Trust) and Carol Reekie of the Association of British Theological and Philosophical Libraries (ABTAPL). The rest of the formal part of the Conference consisted of two talks, the first being ‘Doing God: ten years and counting’ – a fascinating presentation by Nick Spencer of Theos, the Christian think-tank which has been researching and publishing information about the place of religion in public life for the last ten years. Nic k showed us some surprising statistics which challenged received views about religion in the UK. We need to distinguish between church affiliation and church attendance, and one of Theos’ conclusions is that more people are now claiming ‘no religious affiliation’, rather than settling for ‘C of E’ as in previous centuries. The rather depressing UK statistics on church attendance tend to be based on Anglicanism, but it has long been known that other expressions of Christianity are growing, often at the expense of the established church. But whatever the statistics, religion cannot be sidelined as moribund, as immigration and globalisation are bringing in strong, though not necessarily Christian, religious influences. Many people who wouldn’t consider themselves ‘religious’ have some sort of belief system, often very ill-defined; many people occasionally pray. But this is much less of a communal activity than in the past. They don’t want to commit themselves, even though commitment might give them greater purpose in life and the sense of being part of a community. Many distrust institutions, although two-thirds of people surveyed would trust their neighbours. Similarly, many distrust formal expressions of Christianity, but would trust individual Christians. Practical – action is the lingua franca. He began by describing his journey from a quiet, lifelong belief in Jesus to a reluctant acceptance of God’s call to be first a (lay) reader then an ordained minister in the Anglican church. His ‘light-bulb’ moment came when he heard someone talking about integrating one’s faith with one’s life and then helping others do the same. Eventually he found himself at St Martin-in-the-Fields in a part-time post focusing on faith and workplace issues, a role he’s still in. God is interested in all of his creation, and he created the world of work. We’re told in the Bible that at the end of time, everything will be m ade perfect, not just our spiritual lives – ‘a new heaven and a new earth’. We are called to work with God towards the perfect creation, and that includes the world of work. It may be a struggle to find God in some jobs, but it is necessary to find something that will push the work towards the perfection of creation. Witnessing can be as much about doing or not doing as about speaking, and even a hostile workplace can offer space for acts of kindness. Churches should be enabling people to work towards this, but if their focus is on the form of worship or the building, that gets in the way of bringing God to those outside. How do we Christians find answers to, for instance, ethical challenges at work? Nick suggests that we work out for ourselves which are our core beliefs, and what we are prepared to negotiate on; we can witness by being prepared to absorb pettiness. We can usually let people know our beliefs in an unobtrusive way. 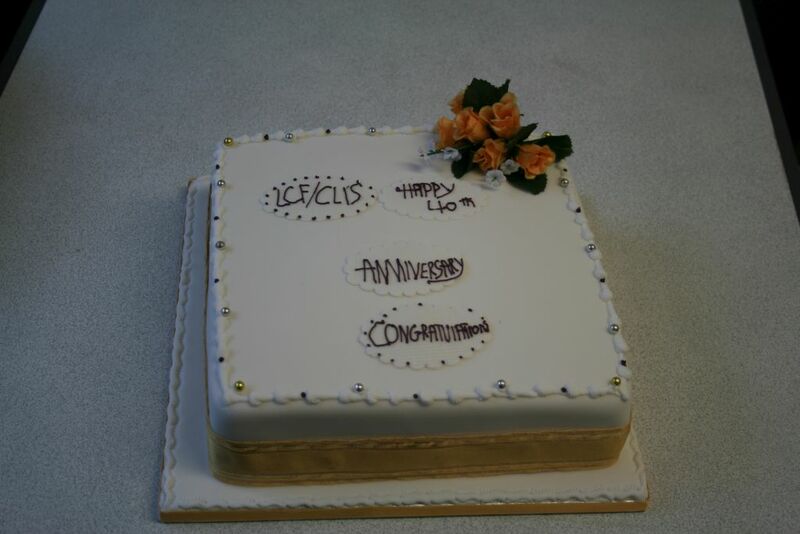 At this point we broke up for tea and a lovely cake, made especially for LCF/CLIS’ fortieth birthday and which displayed our new logo. We then gathered again for a questions and comments session. 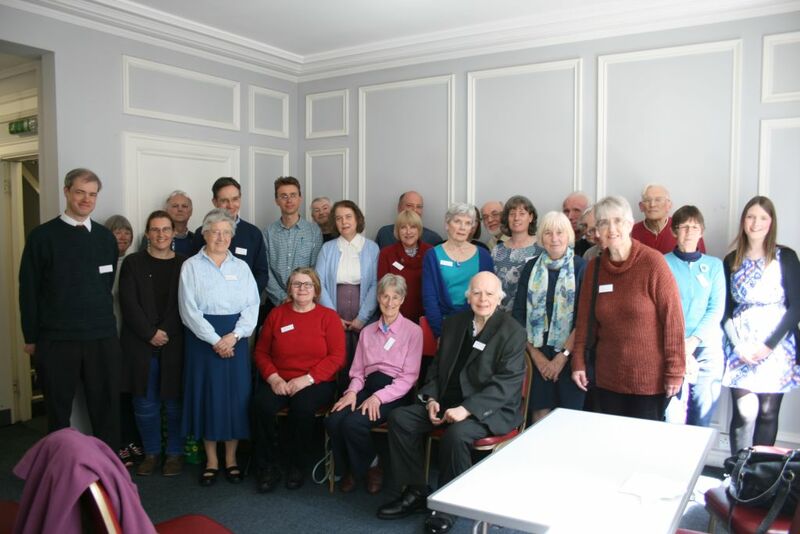 In reply to a question about compartmentalised Christianity (where our beliefs are kept in our private lives) and finding support in the wider world, Will said that support systems have greatly changed, there being lots of new ways of keeping in touch with fellow Christians through IT. 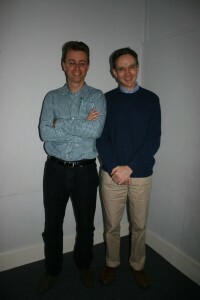 But face-to-face contact still plays an important role, especially for older people. 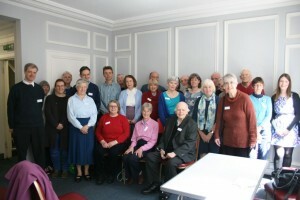 In reply to a comment that some Christian organisations foster the notion that working for money is somehow less worthy by their use of poor employment policies, Will replied that we can make something sacramental of our work whoever we work for, but Christian organisations should treat their workers properly and pay a decent living-wage – people need spiritual and physical food! Striking, or insisting on the right to wear a cross – are these rather futile stands? Will replied that one can make a stand, but it is almost always better to sort out differences before the legal profession is called in, as once a case goes to court only one party can win. And whatever the outcome, who is the real winner? Is it Christianity? Righteousness can tip into self-righteousness. There should be grace in all things. One member of the audience remarked that a building he’d worked in seemed to become a much better place to work in after some Christians had prayed for each part of the building. Diana Guthrie, MA, serves on the executive committee of Christians in Library and Information Services as Treasurer. The meeting was chaired by the CLIS Life Vice-President, Margaret Keeling, in the absence of the President due to illness. 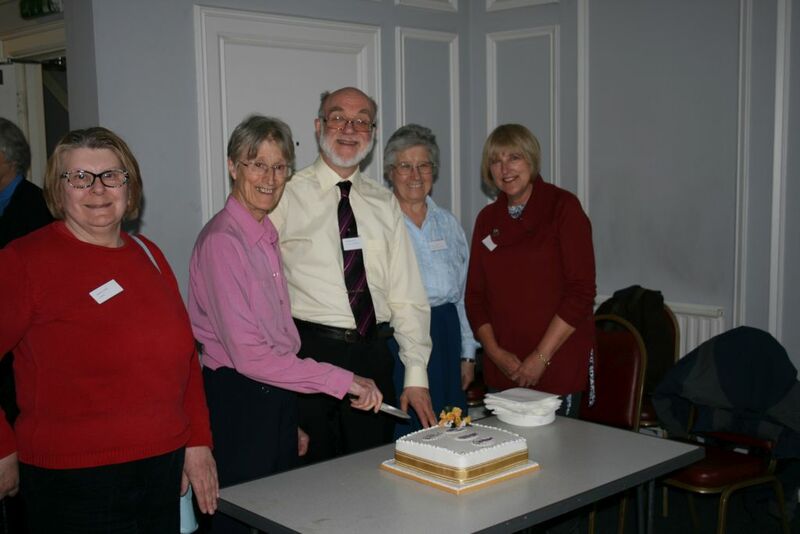 Fortieth anniversary greetings were read from representatives of library and Christian organisations including the Chartered Institute of Library and Information Professionals and the Evangelical Alliance. Apo logies for absence were received from Mary Barker, Derek Fawcett, Gordon Harris, Anne MacRitchie, Eddie Olliffe Elizabeth Pool, Daniel Olorunkosebi (who sent greetings from Nigeria) and John Wickenden. Robert Foster presented an annual report for 2015-16 on behalf of the Chair and Secretary. The Secretary, Graham Hedges, had been in hospital early in the year and had subsequently been unable to attend meetings. This had led the executive committee to deliberate on the future role of the Secretary. Major events during the year had included the annual conference in Leicester and the annual lecture in Salisbury. Visits had been organised to Book Aid, Spurgeon’s College library and the library of Sarum College. The report concluded with a prayer of thanksgiving for a member, Pamela Jackson, who had died in early 2016. Diana Guthrie presented annual accounts for the years 2014 and 2015. It was reported that, in 2014, income had amounted to £6006.54 and total expenditure had been £7343.01, leaving a deficit on the year of £1336.47. A balance of £6802.07 had been brought forward from 2013, leaving a closing balance on 31 December 2014 of £5465.60. A large deficit had been expected in 2014 as additional funds had been needed to re-launch the Librarians’ Christian Fellowship as Christians in Library and Information Services. There had been a generous donation of £1000 towards these expenses. In 2015 total income had been £4537.87 and total expenditure had been £4801.11, leaving a deficit of £263.24. The balance brought forward from 2014 had been £5465.60 leaving a closing balance on 31 December 2015 of £5202.36. Diana explained that a change of Treasurer in 2015 had been fraught with problems including the loss of some supporting documentation. It had been impossible to be as accurate as she would have liked, particularly in regard to the 2014 figures, and there was a discrepancy between the closing balances (according to the ledgers) and the total assets known to be held. Fortunately, the real situation was slightly more favourable than the paper one. Solving this puzzle would be one of the Treasurer’s tasks in 2016. Acceptance of the Treasurer’s Report was proposed by Richard Waller, seconded by Sylvia Allaway, and agreed by the meeting. Thanks were expressed to Diana and other members of the committee. Since there was only one candidate for each committee position no election was held but the following candidates were declared to have been appointed. Proposed by: Diana Guthrie and Mary Wood. It was noted that no nominations had been received for the position of Committee Secretary. Graham Hedges would continue in his present role until the next committee meeting, when the matter would be discussed further. It was possible that he would continue as Secretary if other members took over responsibility for organising major events. Vacancies currently existed for an Events Manager, Recruitment Secretary and two Members Without Portfolio. Philip Hayworth suggested that the committee might consider inviting the Rev. Clifford Hill to speak at a future meeting and that the Rev. Robert Crompton might be invited to make a return appearance. There was no further business and the Annual General Meeting was declared closed.